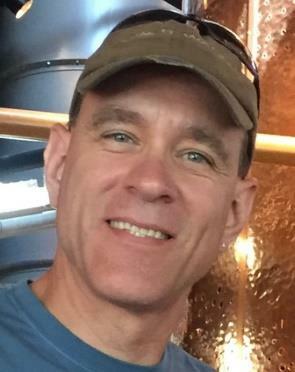 David Andrew Soukup, 49, of Indiana, passed away Saturday, July 28, 2018, at his home. A son of James and Barbara (Taraba) Soukup, he was born July 15, 1969, in Cleveland, Ohio. Dave was a 1987 graduate of Greensburg Central Catholic High School. He furthered his education at the Electronics Institute and the International Brotherhood of Electrical Workers Local 5 Apprenticeship Training Program. Dave was employed by Sargent Electric Company as a project manager, following his 28 years as an electrician, foreman and superintendent with Lighthouse Electric Company Inc. He was a member of IBEW Local 5 and the Red Rock 4-Wheelers Inc. Dave looked forward to his semi-annual trips to Moab, Utah, where he navigated the off-road trails, occasionally leading other Jeep enthusiasts over the rocky terrain. In his spare time, Dave enjoyed riding his mountain bike, dirt bike, and going to camp, in addition to almost any outdoor activity. He is survived by his mother, Barbara Soukup, of Derry; his best friend and wife of 16 years, Margaret “Peg” (Riddle) Soukup, of Indiana; two stepchildren: Luke Good and wife Nicole, of Seattle, Wash.; and Joshua Good and fiancée Natasha Fabian, of Pittsburgh; a brother, Gerald Soukup and wife Lynn, of Uxbridge, Mass. ; a sister, Susan Probst and husband Henry, of Latrobe; extended family members: James and Ellen Riddle, Larry and Patty Riddle, Gary and Debbie Lichtenfels, David and Joyce Anderson, Linda Riddle and numerous nieces and nephews. He will also be sadly missed by his best canine friend, Stormy. He was preceded in death by his father, James Soukup. In lieu of flowers, the family kindly suggests memorial contributions be made to the Indiana County Humane Society, 191 Airport Road, Indiana, PA 15701 or to the Red Rock 4-Wheelers M.U.D. Fund, PO Box 1471, Moab, UT 84532.